Wake Up Your Taste Buds - Maxwell House Wake Up Roast Ground Coffee is the perfect way to start your day. A mild roast, this coffee has a smooth taste and flavorful aroma, giving you a satisfying experience through every sip. Good to the Last Drop - Made from 100% pure roasted coffee, it's all about flavor and good value. 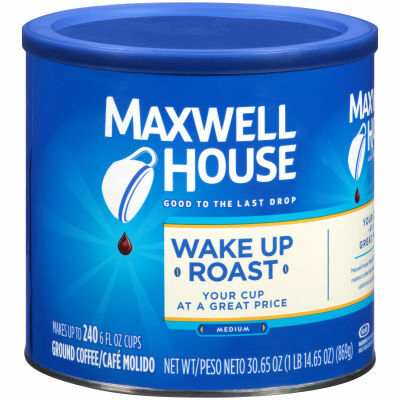 Maxwell House Wake Up Roast has a mild taste great for any time of day.